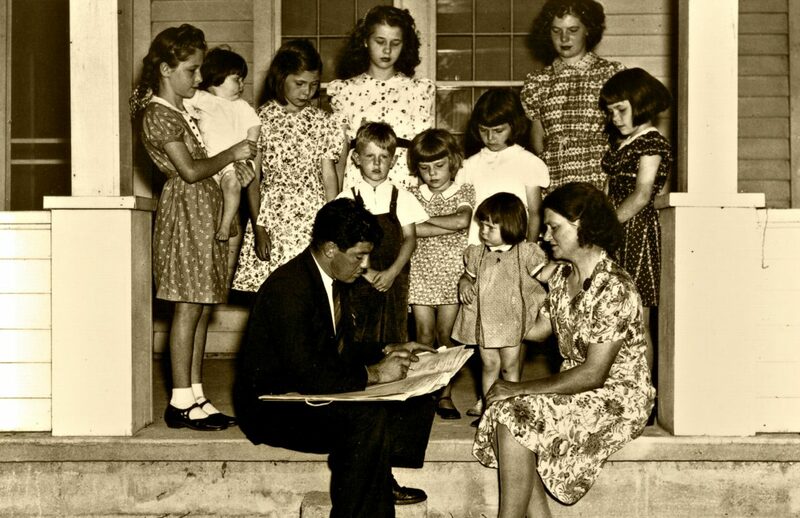 Seems like it’s been a while since Americans took the Census seriously. And now the Trump administration is putting the important task in peril. Sept. 17 was Constitution Day, a day to lift up the centrality of our founding document, which, among other things, mandates a decennial census as a foundation of our government structure. With so much riding on a fair and accurate count, the nation’s leaders must come together despite our heated political climate and ensure that this constitutional requirement is carried out effectively. The decennial census is a massive, complex undertaking with far-reaching impacts on American democracy, the effectiveness of government and private sector investments, and the lives and health of every person who lives in America. The Census Bureau needs a steady and significant ramp-up in funding in 2018 and 2019 to test new technologies and procedures, from start to finish, in a census-like environment and to create an effective outreach and advertising campaign. However, the Trump administration’s budget request for next year is woefully inadequate. Necessary testing has already been cut back due to lack of sufficient funds. The recent congressional failure to pass an appropriations bill and instead merely pass a short-term continuing resolution until Dec. 8 will force the Census Bureau to operate at current year funding levels, leaving the agency without any budget ramp-up well into the first quarter of the new fiscal year (which begins on Oct. 1). This will further stall much-needed, rigorous planning and preparations for the upcoming census. The window for the administration and Congress to prevent a failed 2020 Census is narrowing quickly. Bipartisan action is needed immediately to shore up the Census Bureau’s budget and to put in place experienced, qualified leadership in the wake of the previous Census director’s unexpected resignation. The decennial census is mandated by the U.S. Constitution. It is central to the constitutional design of the United States as a representative republic. It determines the apportionment of the 435 members of the U.S. House of Representatives among the states. The same data are used to ensure that congressional districts within states comply with the principle of one person, one vote, to configure state and local voting districts, and to assist in the implementation of the nation’s civil rights laws, under the equal protection clause of the 14th Amendment. Census data guided school desegregation after Brown v. Board of Education and continue to inform Voting Rights Act enforcement. Nothing less than fair representation in our public lawmaking bodies is at stake. Data collected in the decennial census and the ongoing American Community Survey (ACS) provide information that is vital to effective decision-making by policymakers, government and nonprofit agencies, and private industry. Congress allocates at least $600 billion annually in federal grants or direct payments to states, localities, and individuals/families for a range of vital programs and services, based on census-derived data. Business leaders use the data to make decisions about where to locate and market their businesses. Congressional expectations that the 2020 Census must cost less than the 2010 enumeration have driven efforts to develop and deploy new technologies and procedures. For example, giving people the option of responding online and equipping enumerators with connected handheld devices are advances that could dramatically reduce paperwork and streamline operations, with potential savings of more than $5 billion. But technological failures could compromise data security as well as accuracy. These new technologies and procedures must be fully developed, tested in the field, and refined well before final preparations for the 2020 enumeration start in 2019. That requires a significant ramp-up in funding. Insufficient funding for 2017 and uncertainties for 2018 have already forced the Census Bureau to cancel final testing of some key activities, including the only field evaluation of special methods for counting rural and remote communities. The bureau has canceled two out of three planned sites for the 2018 End-to-End Census Test – informally known as the “dress rehearsal” – which will severely limit the scope of the only integrated evaluation of all operations and technological systems before the 2020 Census takes place. Other damaging program changes resulting from underfunding include delays in opening regional census centers and in developing the advertising and partnership programs that are essential to ensuring participation in historically hard-to-count communities. The administration’s proposed FY 2018 figure is not only unrealistic; it is a formula for disaster. There are two urgent steps that the administration and Congress must take. First, the Trump administration must nominate a highly qualified, well-respected, and nonpartisan candidate with a clear vision for an accurate, fully inclusive census to fill the now-vacant position of director of the Census Bureau. If the administration’s nominee meets those criteria, the Senate should make confirmation a top priority. 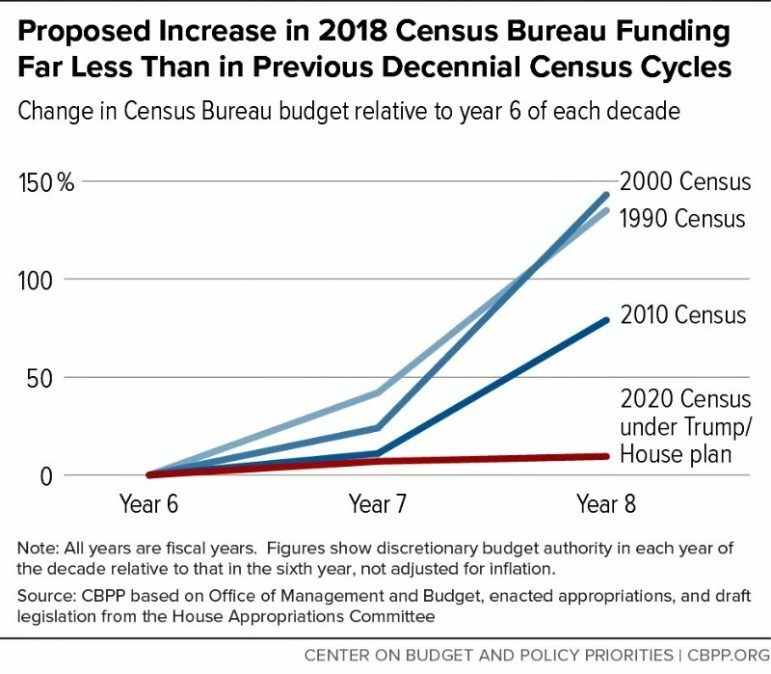 And, second, as Congress takes up fiscal year 2018 appropriations bills this fall, it must give the Census Bureau sufficient funding to ensure comprehensive final testing and development of all 2020 Census systems and operations. To achieve that goal, Congress should allocate at least $303 million over the administration’s irresponsibly inadequate request. There will be no second chance to get the 2020 Census right, and the nation must live with the results for the next 10 years. 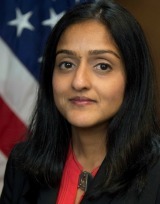 Vanita Gupta was appointed by President Obama in 2014 to lead the Civil Rights Division of the U.S. Justice Department. Earlier this year she became president and CEO of The Leadership Conference on Civil and Human Rights.